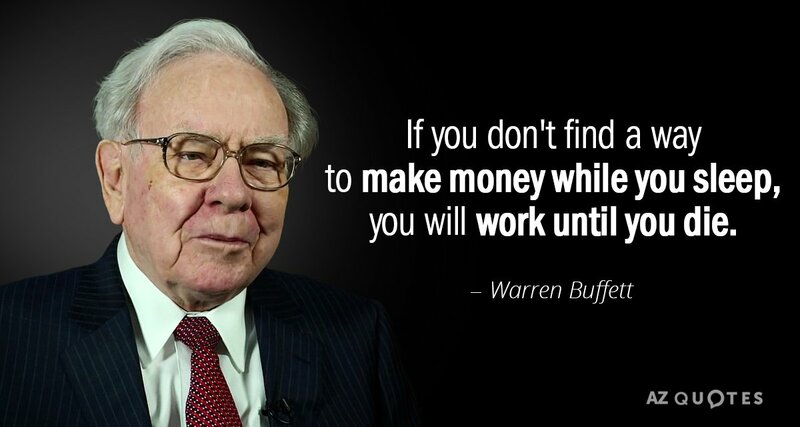 These golden words about making money is given by the ace investor and philanthropist Warren Buffett. Simply put if you are working hard to earn money, shouldn’t the money you earn work for you too ? That’s what is at the core of investment and growing wealth. Idle money is no good (just like a couch potato). And one thing that is needed to imbibe these thoughts in our generation is educating people about the various ways to make your money work. Gone are the days when you put your money in dabbas in kitchen and use it when in need. Today, it’s all about planning early, defining a goal and putting your money to work. I’ve been investing for quite some time now and I can say that I do have a fair idea of how these investment instruments work. So here’s my bit on make your money work when you sleep. How to grow your wealth ? There are a lot of options available to put your money in to grow your wealth. Be it the traditional less risky Fixed Deposits with banks or the National Savings Certificate to moderately risky Mutual Funds and the risky Stock Market. It depends on your risk appetite what instrument you should choose to grow your wealth. For anyone who hasn’t yet started investing or is just at the start line, investing in Mutual Funds is a great option, especially via the Systematic Investment Plan (SIP) route. Mutual funds in simple terms is you give your money to someone (Fund Manager) who invests this money in buying stocks of various companies. The advantage here is that since you are investing a small amount every month, you are able to deal with the volatility in the market. How ? Well, when the market is down and the share prices are low, you’ll be buying more number of shares. When it’s high, you’ll buy less number of shares, thus averaging out your cost of investment. Are Mutual Funds the right choice ? My mantra here is that you spend money because you see it. So if you see less money in your account, you will spend less. Right ? SIP are a great way to grow wealth over time. You can start investing with just Rs 100 a month ! At a fixed date, a fixed amount is debited from your account and is invested in the fund chosen. Now, there are so many mutual funds in the market. Where should you invest ? Some of the most common “types” of mutual funds are Equity (investing by purchasing stocks of companies listed on the stock exchange) and Debt (usually in govt. bonds and other less risky instruments). Will not talk about the other types now. Another rule that you should follow is the 100 minus Age rule. Whatever is your age, subtract that from 100. The number you get should be the percentage invested in Equity Funds and the remaining in Debt Funds. In simple terms, the younger you are the more you invest in Equity Funds and the older you are the more your invest in low risk debt funds. Among Equity funds too there are Balanced, Growth, Index, Blue Chip, Small Cap, Mid Cap etcetera etcetera. It is important to understand the companies in which these funds invest in. And amongst all, one of the safest bet are the Bluechip funds. Bluechip funds are the category that invest in well established firms. All the big organizations you probably can think of would be a part of the portfolio. One of the leading Bluechip fund is the ICICI Prudential Bluechip Fund. The fund invests in stable and large organisations who have proven track record like Reliance, Tata Motors, Infosys and the likes. More over, the fund is managing assets close to 17,500 Crores with a rating of 4/5 by CRISIL, so one can assume it’s safe. The fund doesn’t change the holdings frequently and abide by the “Buy and Hold” strategy (Buy a stock and hold for a long time) The idea is to make the large companies work for you while you sleep. With the promise of Tarakki Karein, if you are looking for a long-term (5-10 years) horizon to grow your wealth, this is an ideal fund to start investing as this has had historically returns of close to 18%. I am a big fan of Warren Buffet and anyone who subscribes to the theory of “Make your money work while you sleep” from an early age has their financial foundation right. Never know that investment in mutual fund can be done with just 100rs in day. Agee in this way, Like you said that our money will work while we are sleeping. Yes ! Infact I suggest everyone to set aside a small sum and invest and let your money work for you. Thats quite a wonderful idea- make your money work while you sleep! Indeed with mutual funds this is possible if wisely chosen and with this offering from ICICI, this surely sounds like a very reliable and promising one. Yes, since they invest in stable firms, the returns are almost guaranteed. Thanks for stopping by Sudip. Careful thought behind investment is very important .These are very good tips to get started with an investment . True, if there’s no goal, investment won’t be beneficial. Thanks Amritaji for stopping by.